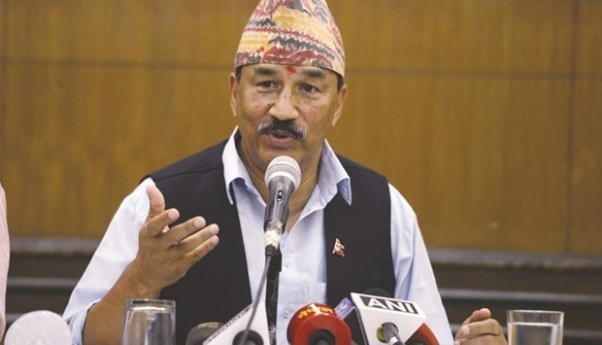 KATHMANDU, June 11: Nepal's relations with India is "incomparable" and its growing ties with China was not at the cost of India, Deputy Prime Minister Kamal Thapa said in New Delhi on Friday. 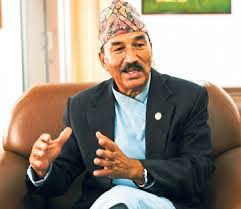 Indian media reported that Thapa said that there was no threat to Prime Minister K P Sharma Oli's government though Chairman of CPN (Maoist Center) Pushpa Kamal Dahal had set certain conditions to continue his party's support to the coalition regime. 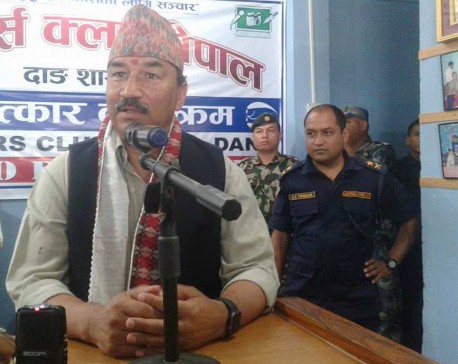 Fielding questions on a range of issues at a media interaction, Thapa, also the Foreign Minister, said his government was committed to resolve the contentious Madhesi issue and a high-level panel has been set up to suggest within three months ways to resolve their demands. He also rubbished media reports that Oli accused India of destabilizing his government, saying his comments were "misrepresented". Thapa said Ambassador Deep Kumar Upadhyay was recalled as government found somebody more suitable who can further strengthen ties between the two neighbours. Thapa cited Nepal's transition to democracy, the Maoist struggle, last year's devastating earthquake and blockade of supplies from India due to Madhesi agitation as major crisis facing the country during the last two decades and said it wants now to embark on a path of economic growth and development. "Nepal's relations with India is incomparable. If we try to expand our relations with China, that should not be seen at the cost of India. 50 years back the Himalaya was seen as a barrier, now it is no more a barrier. "Railway is coming next to Nepal's border, highways are coming around Tibet. Do not you think it will be wise for Nepal to take advantage of that situation. It is very simple. We want development. Naturally we would like to take advantage from both our neighbors. But not at the cost of each other. Nepal does not have a policy of playing cards against each other," he said.